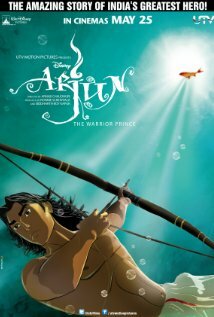 Arjun: The Wa rrior Prince is a Disney film about a young archer who fights against himself as well as his enemies. The concept of inner struggle is nothing new, but through this film as well as Pocahontas, viewers get a full vision of what inner struggle means to Arjun’s culture. He is also a coming of age story for a boy that is trying to become a man. That particular subject can mean almost anything to every culture in the world. You will be experiencing what it means to Arjun’s people. To learn more about the film, you should go to http://www.imdb.com/title/tt2404027/?ref_=fn_al_tt_1. This movie obtains a five out of five popcorns rating.